The General Department of Vietnam Customs will expand the e- tax payment program 24/7 for enterprises authorizing the Customs to transfer the information of tax payment to the bank authorized for tax payment. In fact, there are enterprises that regularly import and export procedures with a large number of daily declarations and large payment, have sufficient financial capacity, or have authorized the bank to debit its account to pay tax, or are allowed an overdraft by the bank if its account balance is not sufficient for tax payment. Aiming to create more favourable conditions for this group, the Department of Import and Export Tax (General Department of Customs) has consulted the authorized banks at the meeting on the proposal to expand the E-tax payment program through the authorized banks, to upgrade the e-customs payment gateway to deploy the electronic tax payment for taxpayers who are enterprises who ask the Customs for transferring the information of tax payable of each declaration to the banks that have been authorized by the enterprises for account debit in accordance with a certain amount and time limit. According to the analysis of the Director of Import-Export Tax Department Luu Manh Tuong, there is now a legal basis for upgrading and expanding the method of electronic tax payment 24/7. Accordingly, when enterprises incur tax debts, they will ask Customs to transfer tax payment information to banks that have been authorized for tax payment. According to the regulation on electronic tax payment 24/7, setting up orders at the Customs e-payment gateway, enterprises need to: setting up an order by themselves, the enterprise authorizes the bank to automatically debit the account according to each shipment declared by the order maker. In order to change the method of tax payment 24/7, the business needs to implement 2 steps: Authorizing the Customs authority to transfer the tax debt information of the declaration right after incurring a debt to the bank where the business authorized debt deduction; the business authorizes the bank to automatically debit according to the limit used at the bank and a certain time. Accordingly, the business must send a document to the General Department of Vietnam Customs proposing to immediately transfer the receivables after the business declares the customs declaration and incurs tax payables to the authorised bank, which is not contrary to current regulations. The verification of arising tax debts of each enterprise is based on the tax code and digital signatures of the enterprises registered with the customs offices. Therefore, when a business has authorized the bank for tax payment, the bank will automatically deduct money from the account immediately after receiving the tax debt information of the business transferred by the Customs authority. 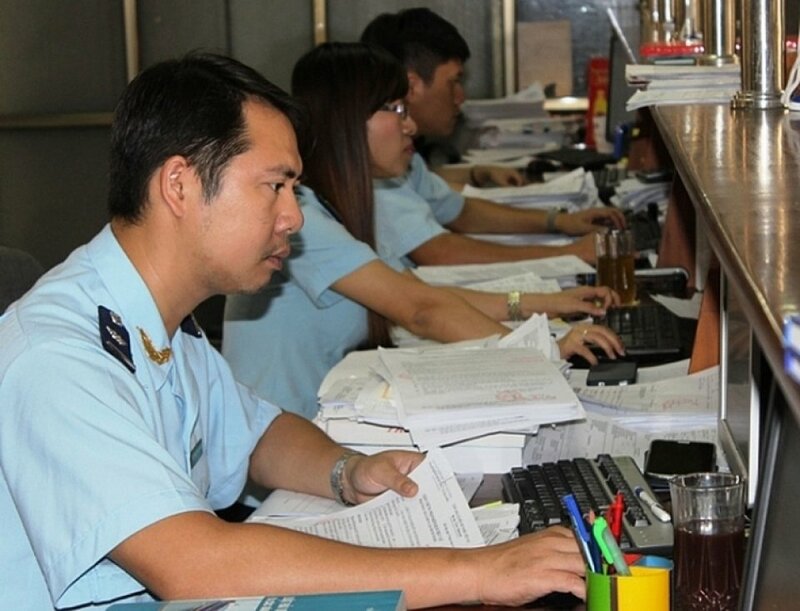 In order to deploy this plan, the General Department of Vietnam Customs will amend and supplement the information exchange software, in which assigning a specific task to each unit. The Customs IT and Statistics Department shall amend and supplement the information exchange software based on the tax amount arising from the declaration and the digital signature of the business upon declaration, the General Department of Vietnam Customs shall transfer information on tax debts and related information (ensuring sufficient information to account for state budget revenue corresponding to the information on deposit slip when taxpayers make orders) of declarations to banks which enterprises authorized to debit debt. For banks that have implemented collection coordination, the General Department of Vietnam Customs also requires the authorized bank to deduct debt, to add the function of receiving information sent by the Customs; Inspect related information; continue to process according to the process of exchanging information on tax payment with the Customs; transfer information and cash to the State Treasury. In order to determine the business participating in this new tax payment program, the General Department of Vietnam Customs will also focus on businesses with a large number of declarations and large tax payment and financial capability, and authorized banks to automatically deduct debts are allowed to overdraw to pay taxes in the permitted limits. In order to be permitted to apply this new form of tax payment, the business must have the document on authorizing the bank to deduct the from a debt-based account on the notification of the Customs when the business arises a tax debt. At the same time, the business must have a document to propose the Customs to transfer tax debt information to the bank which is authorized to deduct the debt right after the business has other tax debts and revenues. A mandatory requirement is that the business must use digital signatures (the business can use digital signatures declaring VNACCS declarations). 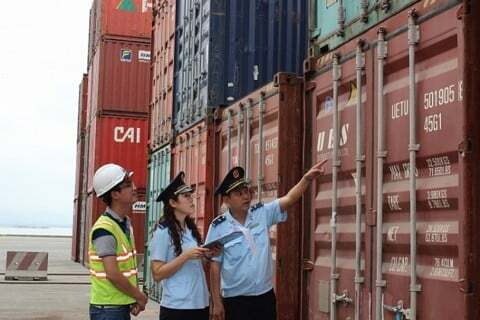 However, businesses declaring customs procedures can in fact be through Customs brokers. Therefore, if Customs brokers declare by their digital signature, they need to add the businesses’ digital signature. If the business requests to use a new digital signature for payment that is different from the digital signature declared on the VNACCS, the Customs’ payment system needs to update the digital signature of the business before transferring tax debt information to the bank to deduct the debt from the account. The time for the Customs system for checking digital signature is at the time of Customs declaration in the VNACCS. If the business registers additional digital signatures for tax payment it is expected to check immediately after the system issues the tax notice.